The brackish water clam Atlantic Rangia cuneata (Rangia cuneata), is an important native species in the upper portion of most Texas estuaries. 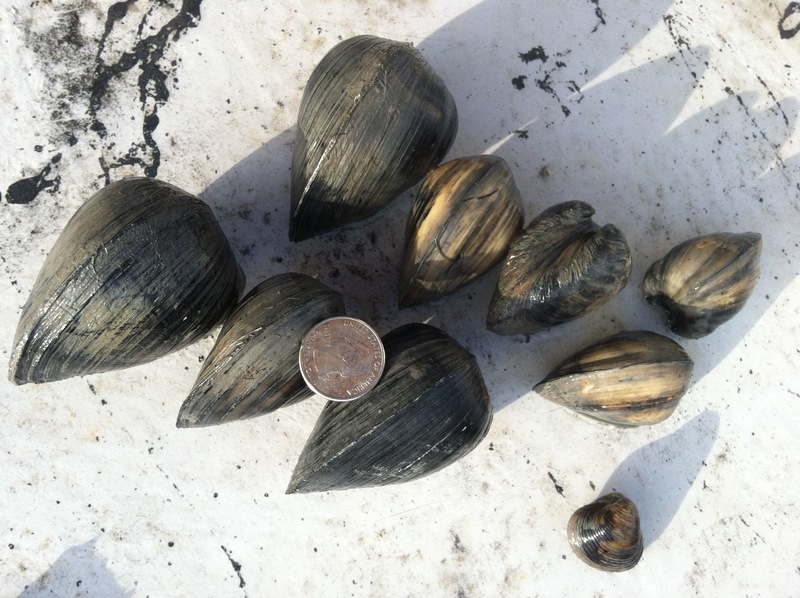 Rangia cuneata clams are of ecological significance because of their role as a filter feeder, converting detritus and phytoplankton into biomass and serving as an important food source for fish, crustaceans, and water fowl. The study utilizes a novel approach to characterize salinity patterns, focusing on those which may limit Rangia cuneata distribution in Texas estuaries. This new approach to describe salinity patterns integrates salinity magnitude (e.g. 2-10 parts per thousand), duration of occurence (e.g. 30 days or longer), and periodicity of re-occurrence (e.g. re-occurring at least once per five years).